For every navigation which is Side Navigation, Top Navigation and Mobile Navigation, we provide General Navigation Setup from Customizer. So you will be able to setup general style on each navigation more easier, live on Customizer with a bunch of custom options. 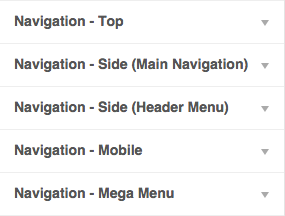 For more information about how to create Navigation Menu, you can take a look right here. 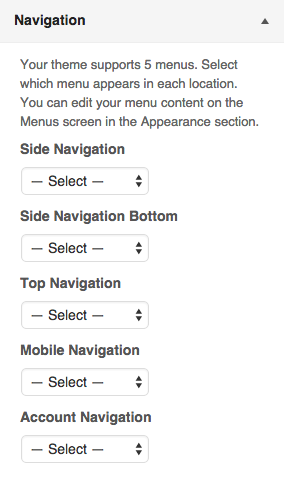 After all menu setup, you can link Navigation Menu to each menu position. For every navigation position (Side Navigation, Top Navigation, or Mobile Navigation), we provide logo uploader from Customizer. Also don’t forget to upload both Normal and Retina Logo.